These items are currently available in our shop. 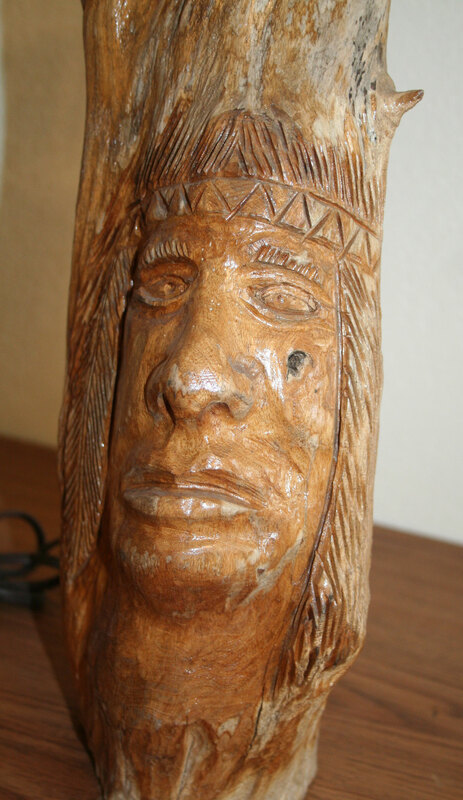 For more information or to purchase visit our etsy store or contact us directly. 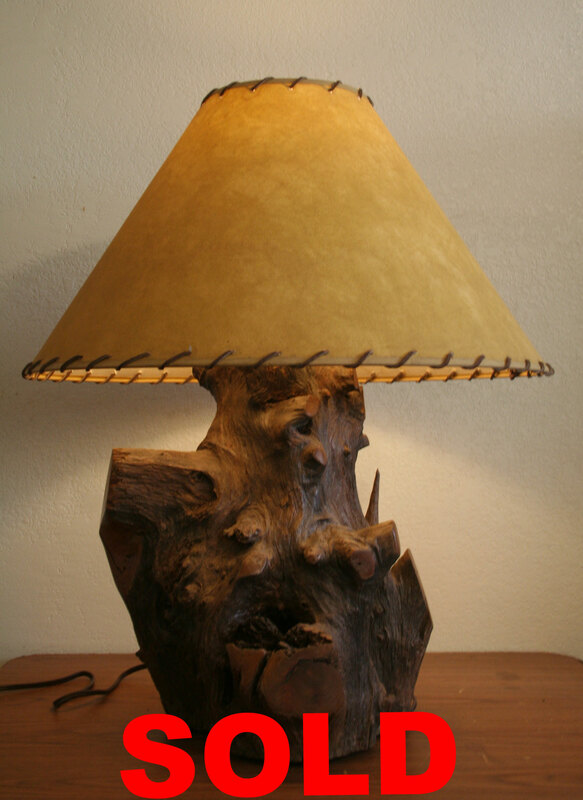 Table lamp made from the root of a Southwest Oklahoma Mesquite Tree. 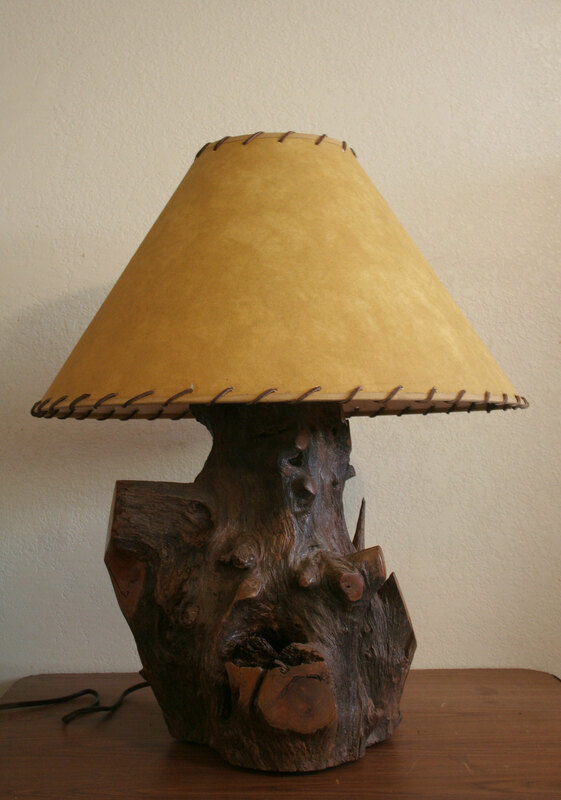 The root is approximately 16" tall and 12 1/2" at its widest point, the harp is about 10" tall making the complete lamp 26" tall. 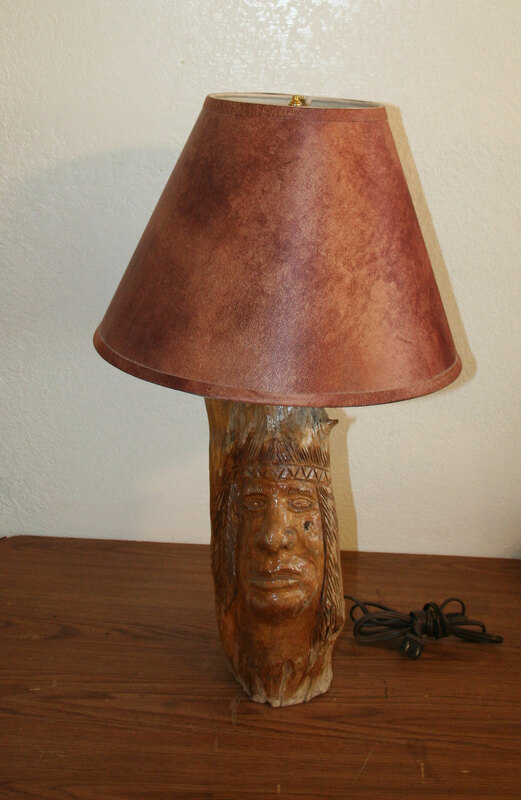 You will receive the lamp pictured, minus the shade. Please note, colors may vary slightly depending on lighting in pictures and monitor settings. 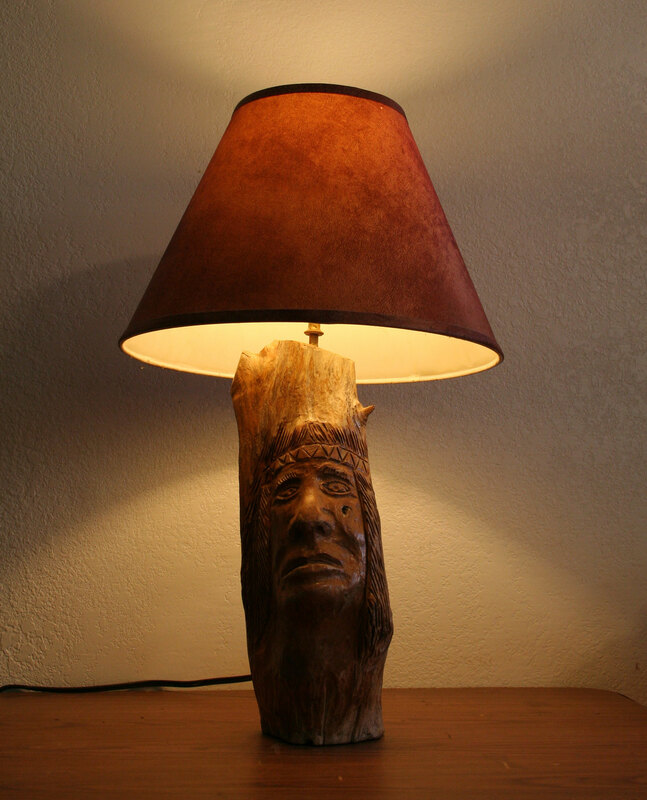 Mesquite Wood Table Lamp with Hand Carved Indian Head. 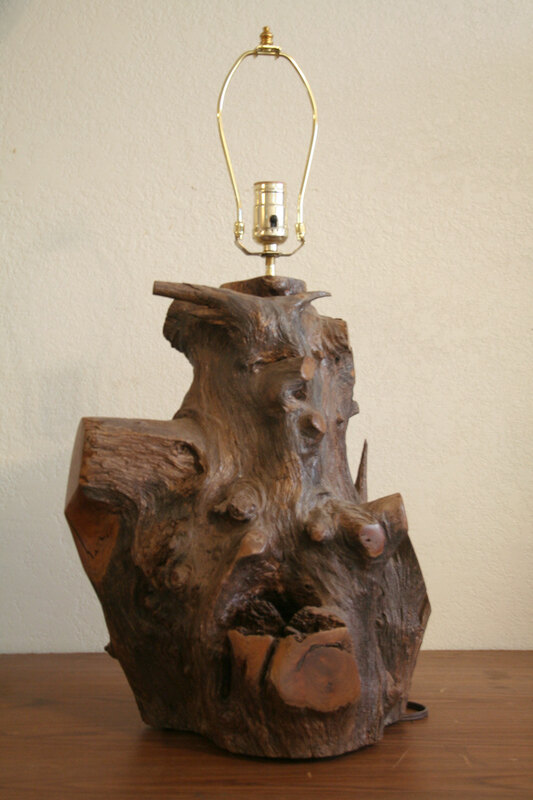 This hand-crafted lamp is made from Southwest Oklahoma Mesquite. 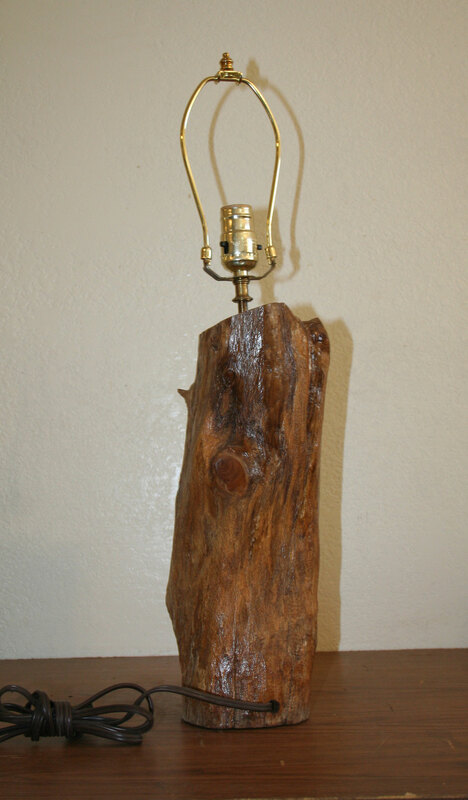 The log is approximately 15 1/2" tall and 6" at its widest point, the harp is about 10" tall making the complete lamp 25" tall. 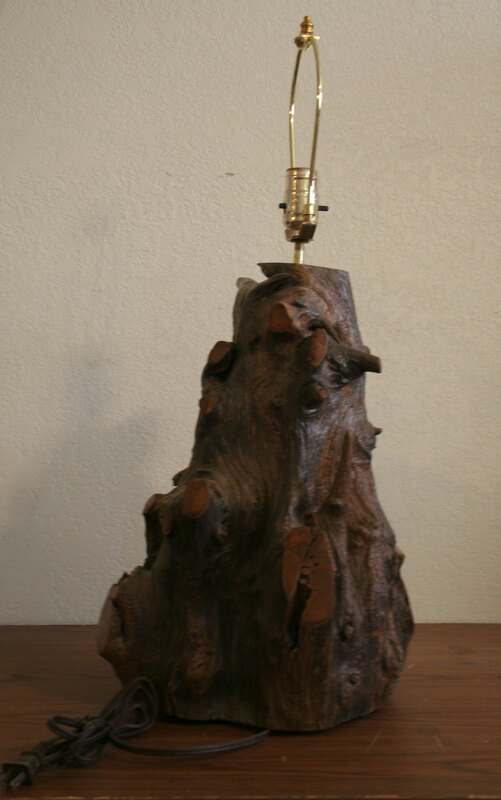 You will receive the lamp that is pictured, minus the shade. Please note, colors may vary slightly depending on lighting in pictures and monitor settings. 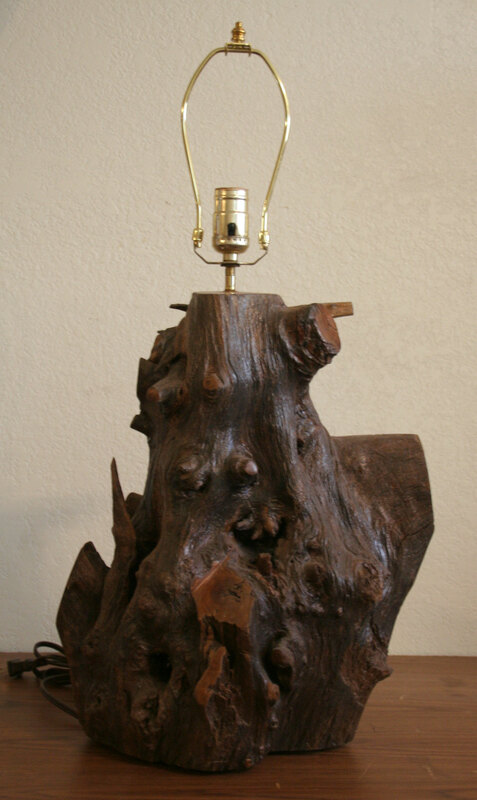 Copyright © DeeR Wood Works. All Rights Reserved.